Here you can find the latest ITF reports, pictures and comments from the conference floor. Consolidating membership of the ITF and renewed efforts to organise the unorganised were identified as the key priorities for the region. 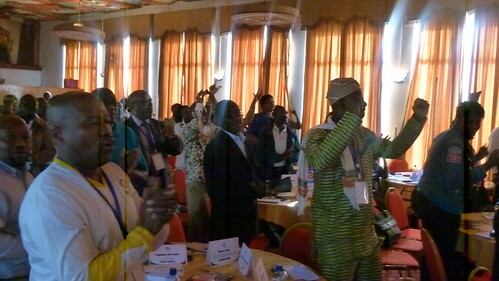 Delegates agreed that reviewing membership of the ITF in Africa is an urgent housekeeping issue. A working group was set up to identify unions that should be brought into the ITF, and also to ensure that unions declare the correct level of membership. Organising remains a fundamental issue for every section. It is important to identify the most strategic hubs, and also make sure that organising women and young workers continues, including in the informal sector. 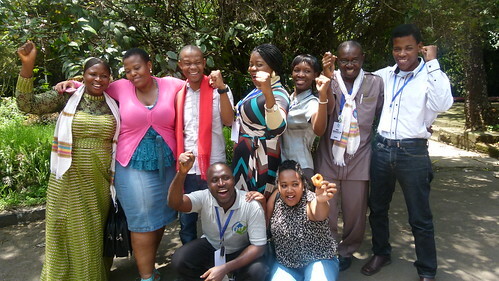 7 new members were elected to the Africa Regional Committee on the final day of the conference. The arrival of new faces shows the 12 strong committee is strengthening for the future. Zenzo Mahlangu was also elected to a new position as ITF vice-president. 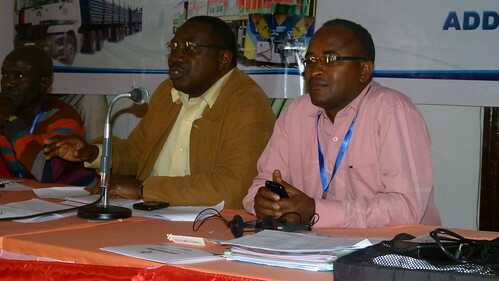 Tabudi Abner, who was re-elected as Africa Chair, said ‘It is a great privilege to lead African transport workers. On behalf of the new committee, I can say we will strive to repay your confidence. The Hon Dr. Zerihun Kebede, State Minister for Labour and Social Affairs spoke to conference this afternoon. Joseph Katende, Africa Regional Secretary, welcomed the Minister as an important ally of the ITF. The Minister highlighted the importance of developing Ethiopia’s transport infrastructure, which is a key source of good jobs. 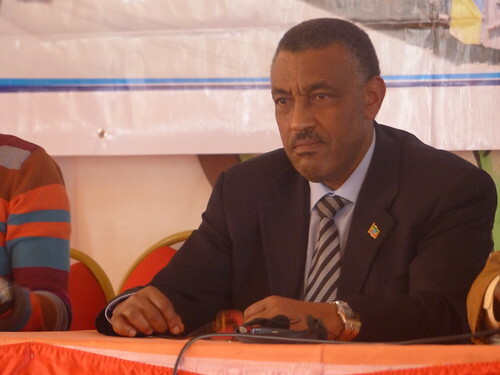 He also said that trade unions have a key role in Ethiopia’s economic development. “The Ethiopia government reaffirms its commitment to work with the Ethiopia Confederation of Trade Unions in general, and the Ethiopia Transport Workers Federation in particular”. Training in strategic planning, leadership and organising were among top priorities for strengthening Africa’s maritime unions. The section also prioritised finding resources for a benchmarking and experience sharing project, continuing to support and promote the ongoing IUF/ITF fisheries project, and studying the working relationship between unions, maritime authorities and governments across different African countries. The meeting heard of the section’s commitment to continue strengthening hub and corridor projects, as well as targeting the Liberian flag, exploring offshore issues further at the oil and gas meeting next week. The threat of piracy is also a high priority for the maritime sector.